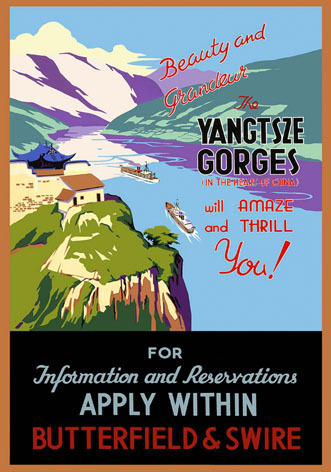 Vintage Yangtsze Gorges Travel Poster, this wonderful Travel poster is targeting tourism to China. This poster is based on the three Gorges Dam. The Three Gorges region attracts global attention due to the Three Gorges Dam which is firmly changing the culture and environment of the river and Three Gorges region.